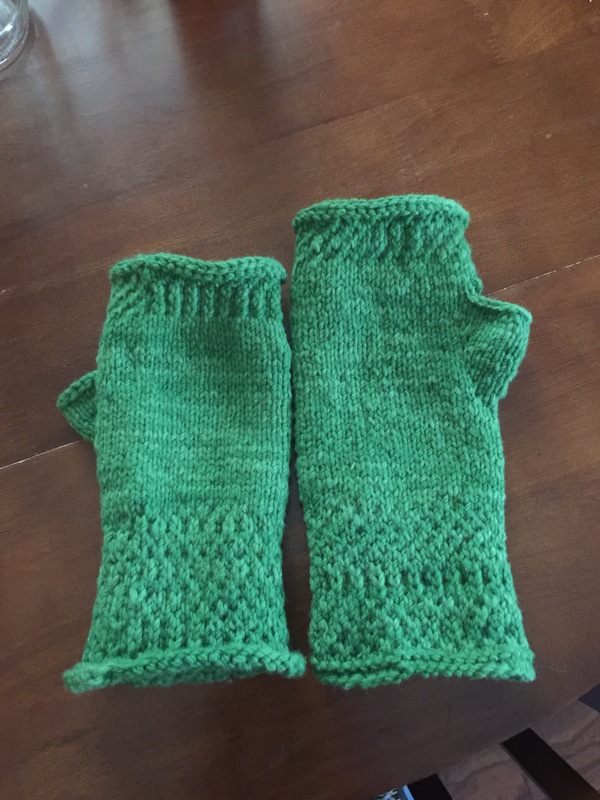 I found this pattern on Ravelry for honeycomb wrist warmers, or maybe it was a blog that linked to Ravelry. I can never keep up with it all. I decided to use the squishy Cestari Sheep & Wool Company merino wool yarn that I sold in my Grassroots Yarn booth. This honeycomb pattern was new to me, which means there was going to be trouble ahead. I didn’t fully research the stitch, it’s a use it or lose it scenario. I did the slip one (Sl1) with the needle in the back instead of slipping knit wise, it still looked okay, the honeycomb wasn’t as defined, so I decided to keep going and just copy the stitch I used on the other warmer. I also decided to add a couple more rows, I like my lower arms to be covered and the cuffs to reach up to my knuckles. To accomplish the counting I used my notes app to tick off the rows and to keep track of any adjustments I made to the pattern. I’m going to confess that I don’t swatch either, unless I ever make something fitted, like a sweater or socks, I won’t swatch. Any sentence that begins with that information is a foreshadowing of things to come. I ended up putting down the project so I could work on an order of Pussyhats for a friend, and then got back to work. There the were, mocking me. My anticipation was deflated. I tried them on, feeling my disappointment as one was wrapped loosely on my wrist, while the other fit perfectly. What happened?! Either my gauge was off or I added more rows, I’m betting on the former, but it could be both. I tried blocking the smaller one in the hopes that would rectify my shame, but they have already sprung back to the original shape. The lesson? 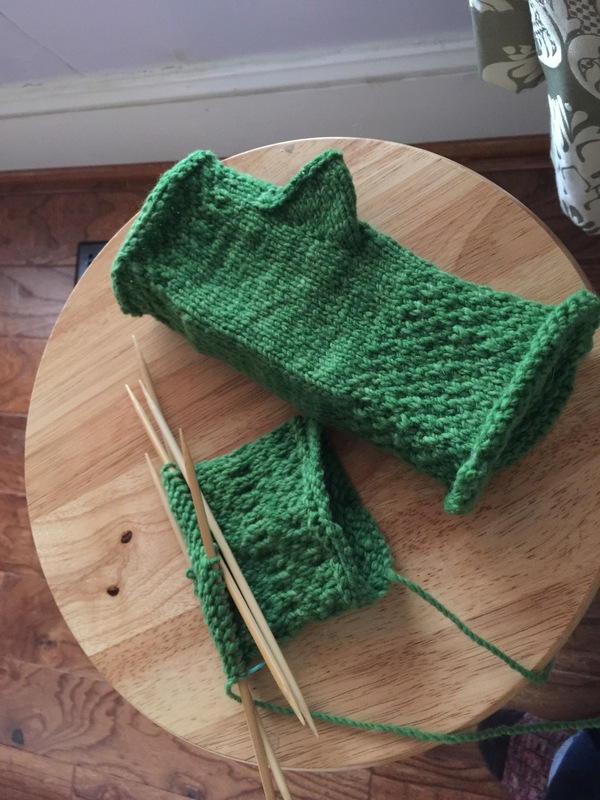 Follow the pattern, do a test gauge, don’t put down a project because you never know how tense or relaxed you will be when you get back to the WIP. I truly believe that your knitting/crochet changes over time. Will I ever follow my own advice? Probably not. I feel like I learn other skills when I do all the above things. Though I still think testing your gauge with a swatch is important, otherwise it can become a waste of your time. Maybe I’ll learn that lesson one day. 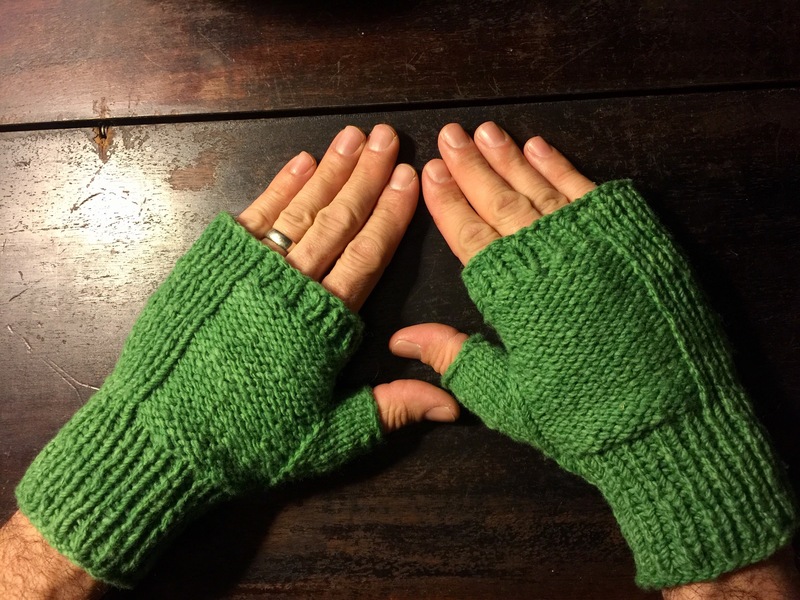 It’s all good though, I still wear them, and I might knit the larger one again. I have amazing friends. They are skilled, generous, and helpful. After my impatience over the website development, I contacted a friend in my working moms group who has a background in web development. She fixed everything for me and imported all the information from the Knitting Whovie to Mama-Knit-Love site. Yay! Thank you, Leigh!